Conceptual subitising is the ability to recognise a whole quantity as the result of recognising smaller quantities. Sayers and others (2016) suggest that conceptual subitising may lead to the later development of arithmetic as it leads to decomposition or partitioning of numbers, the commutativity of addition, and part-whole knowledge. Sayers article is below and is an interesting and easy read. Conceptual subitising builds upon the ability to subitise perceptually. The previous post explains perceptual subitising and provides activities to support students. Once children are competent with perceptual subitising they should be gradually introduced to conceptual subitising by adding 1 or 2 more to a standard pattern, as on a die. Maths Coach’s Corner blog about Subitizing: Moving from Perceptual to Conceptual here. What Does the Research Tells Us? Video from CE Kindergarten talks about subitising using dot patterns (familiar and unfamiliar), tens frames and Rekenreks. Not sure what a Number Talk is? The Brown Bag Teacher provides a quick explanation here. John Van de Walle talks about subitising in his book Teaching Student-Centered Mathematics: Grades K-3 . He provides blackline masters of dot patterns that can be used with your students. Click here for the blackline masters. Maths Coach’s Corner has enlarged versions of Van de Walle’s cards so they would be easier to use, and you can grab them here. Conceptual subitising is one of the most important foundational maths skills children need to support them in developing mental images for addition and subtraction. Its development assists students in moving away from ‘counting on’ and ‘counting back’ and from using their fingers as support. It’s important children receive lots of repetition and visualising it in different ways. For students who are having difficulty, stick to the traditional arrangements, gradually introducing non-traditional and ensuring the new arrangements are explicitly taught. There are lots of resources out there. Fortunately all the resources, except for the iPad apps, are free!! Subitising refers to being instantly and automatically able to recognise small numerosities without having to count (Clements, 1999; Jung et al., 2013; Moeller et al., 2009; Clements & Sarama, 2009). ‘Some suggest that subitising may well be the developmental prerequisite skill necessary to learn counting. If so, we should examine subitising more closely and determine if reinforcing this skill in children will help them learn counting easier’ (Sousa, 2008). There are also ‘strong suggestions that all later mathematics is built on the ability to subitise (Baker, 2015). Clements (1999) describes two types of subitising: perceptual and conceptual. Perceptual subitising involves recognising a number without using other mathematical processes. It assists children to separate collections of objects into single units and connect each unit with only one number word, thus developing the process of counting. 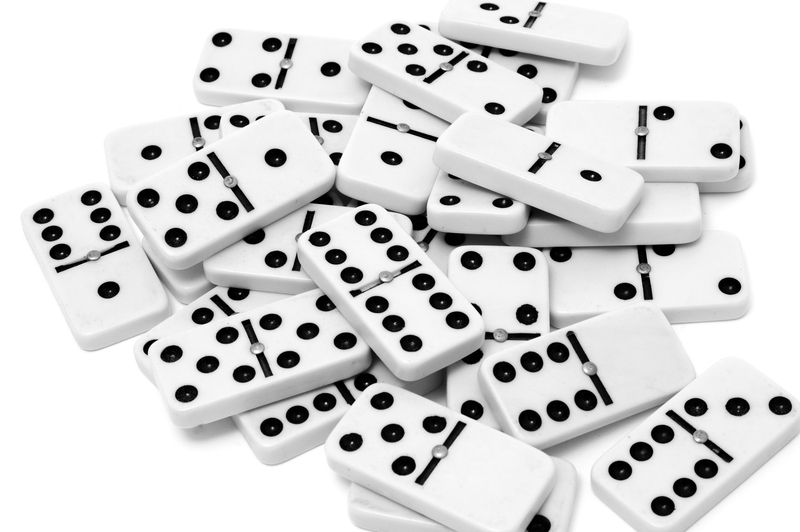 Conceptual subitising allows one to know the number of a collection be recognising a familiar pattern, such as the spatial arrangement of dots on the faces of dice or on domino tiles. Other patterns may be kinesthetic, such as using finger patterns to figure out addition problems, or rhythmic patterns, such as gesturing out one “beat” with each count. A seminal article which is often referred to!! An easy to read article that contains activities and apps. Again, an easy to read article that contains activities to support children in learning to subitize. 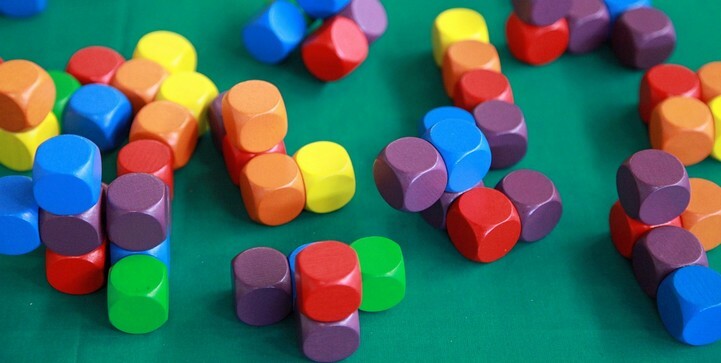 Dice games – simply playing board games with a 6-sided subitised die will assist children in developing perceptual subitising. Making Patterns – show a quick image or flash card of a subitised pattern. Children then use counters or coloured glass stones to replicate the pattern. This activity assists children to visualise patterns and embed the image in their minds. Display each dot pattern for only 3 seconds. Click ‘enter’ to go to a blue screen then click again to reveal the answer. Subitizing – Laying the foundations for number sense – yes, there is a cost involved but this book by Ann and Johnny Baker provides activities and games, problematized situations and mental routines. The mental routine includes closed, open and flipped questions, that encourage a deeper level of thinking. great resource!! At its most basic level, numeral identification is a form of shape recognition, which can result in a simple association of the word “two” with the symbol ‘2’ without a cardinal meaning (Mix, Sandhofer, & Baroody, 2005). This means that numeral identification can develop at a different rate to number knowledge. Visual discrimination, or distinguishing a numeral by sight, is an important part of developing numeral recognition. Some numerals have a similar appearance, like 6 and 9, 1 and 7, or 2 and 5 are often confused or written backwards. Children need to be supported to identify and read them in their everyday environment and provided with numerous visual and tactile experiences. When children acquire the skills of identifying numerals, they are ready for the next step, which is understanding the amount each numeral represents. Point out and name numbers on street signs, houses and buildings while you are out and about. Find numbers around the house on appliances, telephones, remote controls (remove the batteries and let him play), clocks and thermometers. Give your child a calculator and let them to play with the numbers. Ask if they can find the number that shows how old they are and show them the number that shows how old you are. Have them type in the numbers 0-10 in order. Purchase a package or two of magnetic numbers. Allow your child to match up pairs of the same number and put the numbers in order. Take a cookie sheet and numbers in the car for on-the-go learning. Assigning a number/numeral to a quantity can be a difficult concept for many children as a group of objects is tagged to one or two digits. In other words, the one-to-one relationship does not exist. This a particular difficulty for children who have the learning difficulty known as dyscalculia. I’m sure we’ve all experienced children who write their numerals backwards, particularly, 2 and 5 or 1 and 7. It is important that they are provided with numerous visual and tactile experiences to help develop their muscle memory. Once bad habits are established it’s often difficult for children to change. Providing resources can be difficult as different education systems use different fonts. I have simply offered a range of free resources hoping that there will be something to suit your purpose. Writing the numerals in the air. I usually use a rhyme here so children also have a verbal connection. I’ve provided some rhymes further down. Hopefully there’ll be one that suits your purpose. Writing the numeral on the back of someone else. Again, using a rhyme. Rainbow Writing Write the numeral using one colour, then change colour and repeat. I usually do this between 5 and 10 times and encourage children to say the rhyme as they write. Playdough Numbers Use playdough and pre-made templates to create numbers. This is my favourite playdough recipe, no saucepans but you do need boiling water!! Bumpy Writing Similar to Rainbow Writing but write on a plastic grid or something with a similar texture. I’ve also purchased a plastic place-mat from my local $2 Shop. Much cheaper than the plastic grid. Once made, the Bumpy Writing sheet can be used for children to trace over with their finger. Sand Trays I really like this idea from Mama Miss. A similar one – a Montessori version (Don’t use salt just in case a child has a cut or a scratch). Sandpaper Numerals for tracing (Be careful of the coarseness of the sandpaper as some children may not like the ‘feel’.) Use one of the numeral outlines, provided below. Playdough and Number Outlines from First Grade Garden. Look at Station 6. Race Car Highway Numbers from Make Learning Fun Use small cars on the tracks. You will need to make sure the children are correctly forming the numbers. Hopefully you’ve found a resource that will be beneficial for your children. The abstraction principle is the last of Gelman and Gallistel’s Five Counting Principles. The one-to-one correspondence, stable-order, cardinal, and order-irrelevance principles have been addressed in previous posts. It is vital that children learn the other principles first, because as they get older, the abstract principle will be easier to understand. For young children learning to count is easier if the objects are tangible and, where possible, moveable, in order to help them to distinguish the ‘already counted’ from the ‘yet to be counted’ group. To understand this principle, children need to know that they can count non-physical things such as sounds, imaginary objects or even the counting words – as happens when ‘counting on’. Have you ever had a child who looks at two sets that have the same number of objects but automatically says the set with the larger objects has more? Or a child who sorts the set first so that different sized or coloured objects are together? Child need to understand that regardless of what is in the set or how it looks, we are only interested in the number within the sets. For example: The number within each set is the same. Sometimes when presented with different objects, children state that larger items have more value, for example, they are worth more than ‘1’. It is more difficult to count non-tangible objects, for example, sounds, actions or words people say (this may impact upon literacy – the numbers of words in a sentence or the syllables in a word). Matching sets of different objects that have the same quantity. Provide children with opportunities to count a range of sets, real or imagined, similar or different. Use different arrangements within the sets. Use different colours and encourage them to not just focus on their favourite colour. Ensure sets have different sized objects. Balls Roll or throw them to a partner. 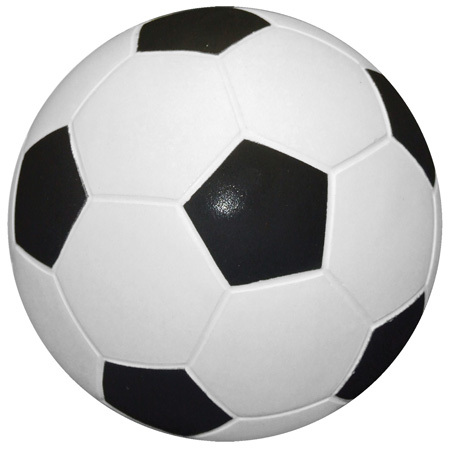 Count the number of times a child bounces a ball. Musical instruments Use a xylophone, drum or shake and count the number of times it’s hit or shaken. Counter Drop Have children count the number of counters/pebbles that are dropped one by one into a can. Remember, plan lots of opportunities for students to count whether formally or informally. 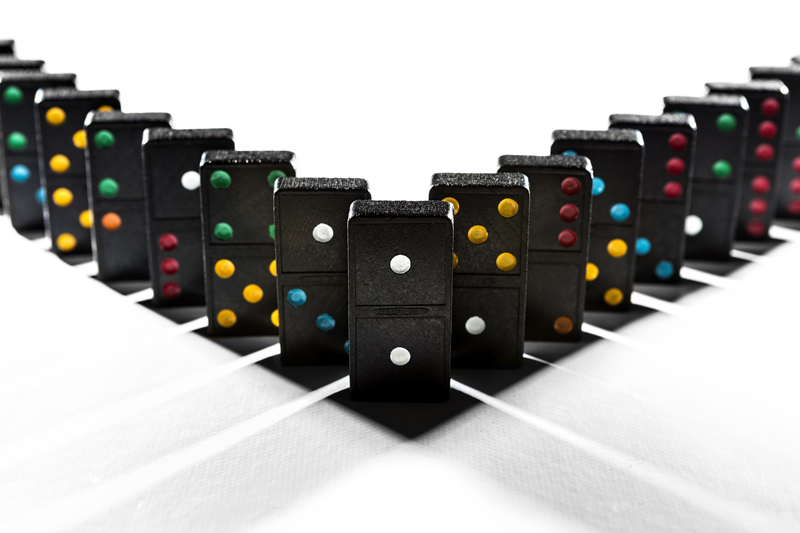 The order-irrelevance principle refers to the understanding that the order in which objects are counted is not important. It doesn’t matter whether the counting procedure is carried out from left to right, from right to left or from somewhere else, so long as every item in the collection is counted once and only once. In a collection of three buttons there may be a red, green and blue one. I may start counting with a blue button the first time but the next time I may begin with the red button. Whichever button I begin, with I will always arrive at the same number. This seems like a simple concept to understand but children often have to recount the set if you ask them to begin counting from a different object. If we go back to the previous button example. Children may start with counting the blue button and tag or label it as ‘one’. Some children will insist that it is ‘one’ and that’s where they must start counting from. Recent research by LeFevre and others, 2008, indicates that from Foundation through to about Year 2 the application of conventional counting rules (left to right and top to bottom) was related to higher numeration skill. At this age, the order-irrelevance principle appeared to impact negatively on children’s working memory and therefore, their ability to count proficiently. However, from Year 3 onward, children’s numeration knowledge was unrelated to whether they had acquired order-irrelevance. Although the order-irrelevance principle is an important understanding for children to have, some children do not fully develop this understanding until they are around eleven years of age. The research suggested that only when counting becomes automatic might there be the opportunity for children to accept that it is not necessary to count a set in a strict order. might be logical, but it is not necessarily practical. 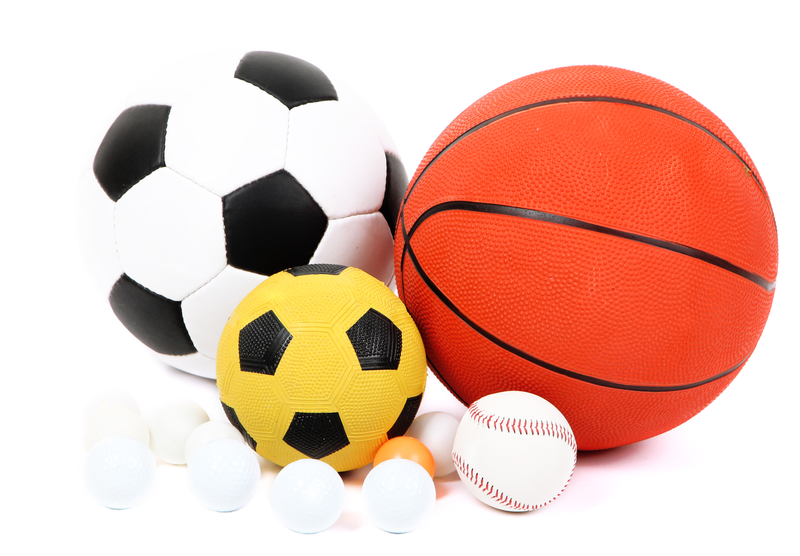 Have children count objects in their every day environment in a variety of different ways. Ensuring that they touch the object as they do so. Constant exposure to counting helps develop this skill as well as making a game out of it by “mixing up” objects in a set to see if the numbers change. Ensure that sets for counting contain, not only sets with the same objects but also sets that have miscellaneous objects without any commonality. Cardinality is the ability to understand that the last number which was counted when counting a set of objects is a direct representation of the total in that group. Children will first learn to count by matching number words with objects (1-to-1 correspondence) before they understand that the last number stated in a count indicates the amount of the set. A child who understands this concept will count a set once and not need to count it again. They will automatically remember and know how many are represented. Students who are still developing this skill need constant repetition of counting and explicit teaching through modelling so they understand they do not need to count over and over again when it will result in the same number. Students who have difficulty with their working memory may have difficulty with this concept. So What Can You Do To Help!! Researchers indicate that the latter is the preferred method of modelling, suggesting that the first did make a difference compared to Counting Only, where the total number of items was not emphasised. We can help children develop the understanding of cardinality by involving them in activities where they answer questions about ‘how many’. They need not only to be able to say the counting names in the correct order, but also to count a group of, for example, seven objects and say that there are seven. This video from the Connecticut Office of Early Childhood provides examples of ways to develop cardinality in the classroom. Counting Collections Activities should have some basis in reality, giving a purpose to counting. For example, create a need to count by involving children in food preparation. 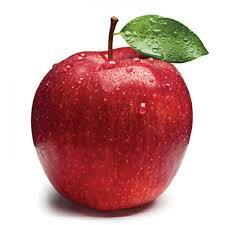 They will need to know how many people, plates or apples in order to complete the task. How Many? Provide opportunities for students to count using a variety of objects such as buttons, counters, shells, coins, and dot cards. Objects can be put into jars, counted then draw and recorded. Order Disorder Place objects to be counted in different arrangements. Firstly, perhaps, a straight line then, the same objects, in a circle then a random arrangement. Always asking children “How many?” If they need to recount the objects, they do not understand the concept of cardinality. Want to make your own sock puppet for Spot the goof?? The following videos may help. And neither require sewing!! How Many Snails? a counting book by Paul Giganti Jr from the National Centre for Excellence in the Teaching of Mathematics. Once a child has a sense of cardinality, then we can involve them in matching activities where a number word is matched to a quantity and the numeral that belongs to it. Match It Provide children with opportunities to match numerals with the number of items in the set they have counted. Count It Provide children with a numeral card and ask them to read the number. Children then count out that many items to represent the number. 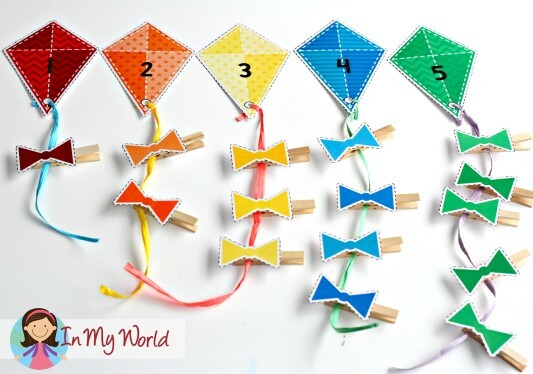 Mouse Match and Thread Printable I recommend that you only use one colour of beads, otherwise children will make coloured patterns instead of thinking about the counting!! The stable-order-principle is one of the most basic principles of number and parents often think that this is the only concept a child needs to know. For example, it is always 1, 2, 3, 4, 5, 6, 7, 8, 9, etc. NOT 1, 2, 5, 7, 3, 4, 6, 9, 8! Activities that employ the stable-order-principle are most useful when they are simultaneously employed with the one-to-one principle. Children need to understand that one word is said as one object is touched or action is completed. To be able to count also means knowing that the list or sequence of words used must be in a repeatable order. Number language is complicated as it involves rote learning of words that do not have a recognisable pattern. the stable order principle (Montague-Smith and Price, 2012). 1991; Miller & Stigler, 1987). This is because the number words for values up to the hundreds are often irregular and do not assist children by NOT relating to the base-10 number system. Many of these confusions are avoided in East Asian languages, because of a direct one-to-one relation between number words greater than ten and the underlying base-10 system (Fuson & Kwon, 1991; I. Miura, Kim, Chang, & Okamoto, 1988; I. Miura, Okamoto, Kim, Steere, & Fayol, 1993). The Chinese word for twelve is translated as “ten two.” Using ten two to represent 12 has two advantages. First, children do not need to memorise additional word tags, such as eleven and twelve. Second, the fact that twelve is composed of a single tens value and two units values is obvious. Usually I talk to children about the numbers after ten, explaining that it would be easier if we said ‘ten and one’ rather than eleven or ‘two tens’ rather than twenty. Introducing the numbers in this way seems to develop some understanding of the structure of numbers. Some researchers have suggested that we introduce the numbers eleven, twelve, and the ‘teen’ numbers after they learn to count to 100. I understand why they suggest this but have never been able to reconcile as to how we would teach this way when we have groups of objects above ten!!!! Count Around the Circle The teacher/adult sets what the children will count to. 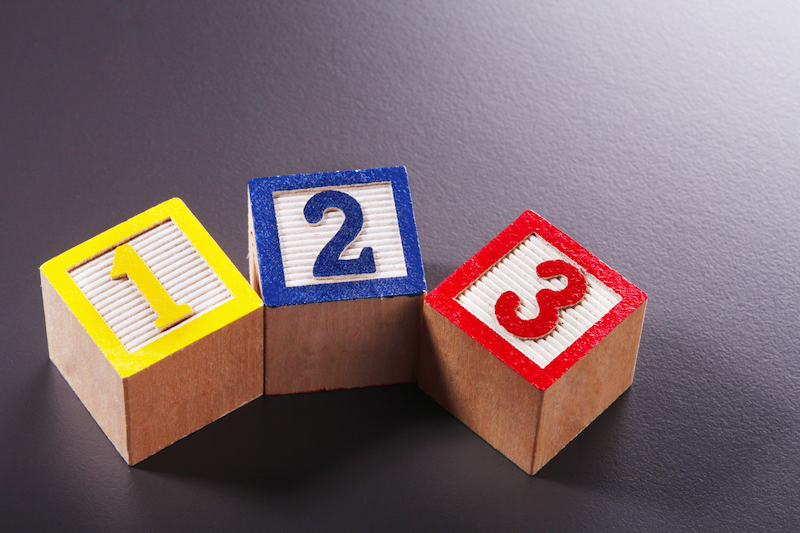 Children can say either 1, 2 or 3 numbers, for example, child 1 says, “1, 2”, the next child “3” and the next child, maybe “4, 5, 6”. It is up to the child. When the target number is reached that child sits down and the next child starts from 1 again. Counting books, singing simple number songs, repetitive counting and consistent modelling help students develop this concept of number sense and correct errors that may occur. Children come to school with varied experiences related to counting. 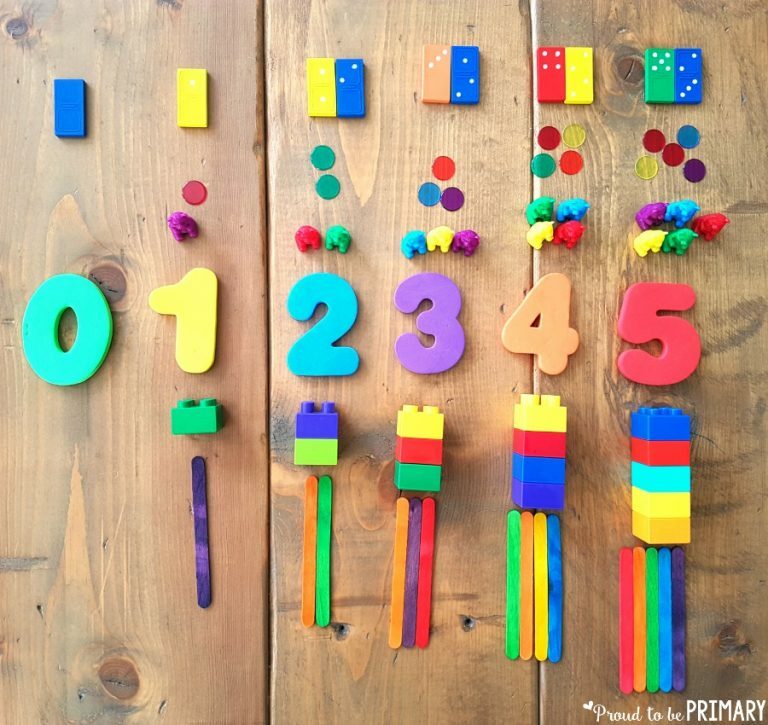 Even if young children can recite the number sequence it cannot be assumed that they can apply this knowledge to counting small sets of objects. Knowing the one-to-one correspondence principle is essential for organised, meaningful counting. This leads to an eventual ability to perform higher-level calculations (McCarthy, 2009). One-to-one correspondence is often difficult for young children to comprehend. In Maths recognising the number “ten,” and being able to count out “ten” items are two separate skills. 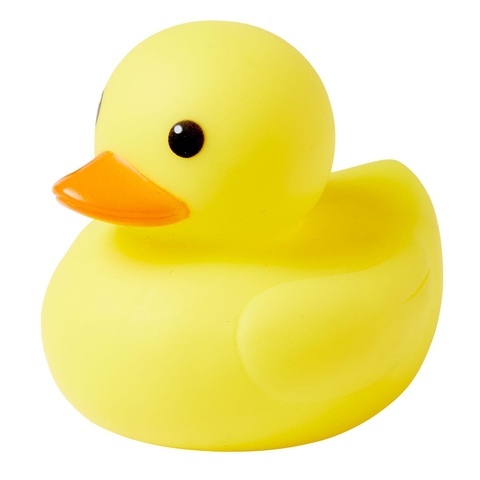 Linking objects with numbers enables a child to count with understanding (McCarthy, 2009). Fruit ice-cubes – Chop pieces of fruit, for example, pineapple or strawberries. Place one piece of fruit into each space in an ice-cube tray. Add water or fruit juice. Freeze. Teddy Bear’s Picnic – Set out between 3 to 5 small chairs. Place one teddy bear on each chair. Rhythm Movements – Children count the number of claps an adult makes. This can be the number of beats on a drum, taps on a triangle. Children count aloud and aim for rhythm. Follow Me – Children make the number of movements given by an adult, for example, clap three times, hop three times, skip five times, nod six times. Children count aloud as the actions are done. Bean Drop – An adult drops dried beans into a container. As the beans are dropped the children need to count them. PreKinders is an amazing website with free resources, not just for Maths, but also fine motor skills, literacy, science and more. The following board game is easy to prepare, simple for children to understand and doesn’t require many resources. Roll and Collect is from Kate in Kinder and sourced through Teachers Pay Teachers but as a free download. There are a few different versions. The game uses a 6-sided die. This might not give the children enough turns so might need to be adapted, showing the numbers 1, 2 and 3 on two sides each. My aim is to provide free resources, where possible, that support the academic research. If you find other resources or relevant information please contact me and I’ll include it on the blog. Thank you to all the educators who supply free resources to support teachers and their children. “… good intuition about numbers and their relationships. Van de Walle and others (2018) suggest Four Early Numeracy Concepts and Four Number Sense Relationships necessary for the development of Number Sense, something we will continue to explore. Counting is fundamental to later maths development. Early counting predicts later mathematical success (Clements and Sarama, 2014) and even later reading fluency (Koponen, Salmi, Eklund and Aro, 2013). Many children begin school with the ability to differentiate between sets of certain ratios (in particular, 2:1 and 3:2) enabling them to tell the difference between sets just by looking at them. However, they are unable to tell the difference between sets that are close in number (for example, 10 and 9). It should be noted, that this does not apply to all children, in particular, those that may suffer from Dyscalculia. A term referring to a wide range of life-long learning disabilities involving maths. It includes all types of maths problems ranging from an inability to understand the meaning of numbers, to an inability to apply mathematical principles to solve problems. Sound complicated? It is! Something we adults take for granted as “simple” is actually quite complex developmentally. Although we will explore each principle in future posts the following by the National Center on Intensive Intervention is a brief introduction. As children engage with nursery rhymes, songs and role-play opportunities they often develop the order of number words. 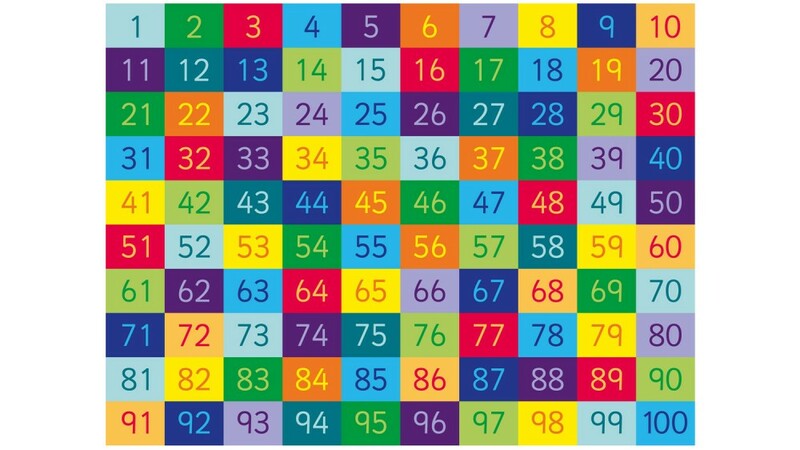 However, just because children are able to rote recite the number words it does not mean that they understand one-to-one correspondence nor the knowledge of differences in the magnitude or size of numbers (for example, knowing that 7 comes after 6 doesn’t mean that the child knows that 7 is more than 6). Counting rhymes, books and videos are ways of supporting children in developing Verbal Counting. An enabled adult who is able to support and intervene when a child experiences difficulty is significant at this stage. I usually add the counting rhymes to the classroom library and make activities (available in the counting rhymes section) so that students can retell the rhymes. This assists with developing the rhythm of counting. What strategies/ideas do you use for Verbal Counting? Please feel free to comment.